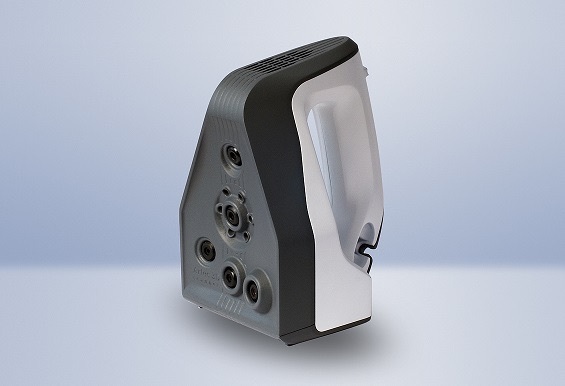 Artec is proud to announce the official release of Artec Spider - an affordable, precise 3D scanner designed for CAD users. The Spider was first showcased at the Control show in Stuttgart in May, 2013 and received raved reviews. The first thing that visitors at the show wanted to scan was their cell phones. This was the perfect thing to scan, because Spider has no trouble with shiny or even partially translucent objects, whereas other scanners have a hard time. Conceptually, the Spider was designed for CAD users. We envisioned this scanner on the desk of every engineer, product designer and inventor around the world. For that to happen, we had to design a light-weight, easy to use scanner that didn't have limitations of previous 3D scanners which had trouble reconstructing sharp edges and shiny or black objects. We think we succeeded, but you be the judge of that. Go to Viewshape.com to see 3D models scanned with Artec Spider. To schedule a demo in your country email us at sales@artec-group.com.